A clogged drain can get bad. Whether it's in your bathroom or being a nuisance in your kitchen, it's something you want to take care of immediately. On top of leaving a nasty residue behind, a clogged drain can cause other problems in your home as well. The question is, how do you know that you have a clogged drain and not something else? Before you call a clogged drain specialist, there are some signs that will let you know that you have a stopped-up drain. One for sure sign that your drain is clogged is water that drains slowly. You might notice water being left behind even though there is no stopper in the sink, or the smell of old food coming from the sink drain. You may also have noticed water pools forming near bathtubs, sinks, and around shower drains. At this point you don't want to call a clogged drain specialist. In a situation that deals with your home, you want to hire professionals that know exactly what they're doing. We are those professionals. Not only that, but we work around your schedule, and deliver results in a timely fashion. Our work is guaranteed. Not to mention, we walk you through the problem so that you understand how it happened, and how it can be prevented in the future. We may even be able to offer preventative maintenance tips and/or services they can help you keep your pipes and drains running smoothly all year. We respond quickly, and our prices are affordable. When you get a clogged drain call us. 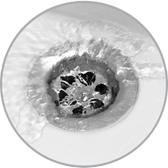 We are the best Clogged Drain Specialist in San Tan Valley, AZ.